Groups of 10 or more are considered large groups and most restaurants won’t take them without a reservation. What’s more: often groups won’t be allowed to eat à la carte and they’ll have to choose a set menu and pay for it in advance. That’s because not all restaurants are ready to serve groups efficiently, and in order for the meal to work out smoothly things need to be prepared ahead of time. But sometimes it’s not easy to choose the right restaurant for groups when you aren’t familiar with the local restaurant scene. And what if you are traveling with your extended family and need somewhere for a family dinner? Or if you are organizing a company trip, and need enough space for all your coworkers to eat together that is not the restaurant of the hotel? Today we get you covered: we’ve compiled with you a variety of Barcelona restaurants suitable for groups that won’t disappoint you. And hey, they don’t only take groups: you can also eat there if you aren’t a group, too! Orio is a basque tapas restaurant owned by Sagardi, a popular local restaurant company. They specialize in pintxos, the Basque tapas consisting on a slice of bread and a cold or warm topping, and their group menus are a great option for informal group meals, specially when budget is tight. 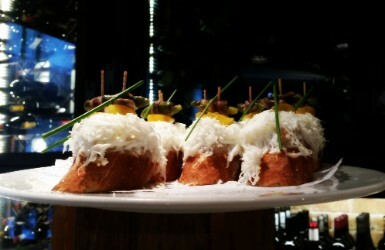 Their menus are a combination of cold and warm pintxos plus a drink: the more pintxos you need, the more expensive the menu. They are happy to provide vegetarian pintxos and offer gluten-free options – just make sure one in your group is there to control that things are served to the right person. Despite being small, pintxos fill up more than you’d think: 5 pintxos make a quite decent meal – no need to go for 10 pintxos per person unless you think your group will be really hungry! Not in a group? Pintxos are a fun experience for anyone: just stand by the counter, get a dish and pick up as many pintxos as you want from the platters, and don’t throw away the toothpicks – the waiter will know how much to charge you by counting them! Sagardi has a few more pintxo Bars in town (Orio Born, Sagardi, Euskal Etxea, Golfo de Bizkaia…), plus other good options for groups with a larger budget (we love the views from 1881 in the Museu d’Història de Catalunya). If you are dreaming of a paella meal by the beach, Ca la Nuri Platja is a great option: a family-owned restaurant that has become a reference for locals and now owns a couple more seafood restaurants in town, Ca la Nuria Platja being their original venue and the only one by the sea. Their group menus are made of an assortment of tapas to share, plus a main course to choose from rice, noodle paella (fideuà) or meat or fish, plus drinks, dessert and coffee. Not cheap, but a great deal considering what you get for a set price! Individuals or small groups are also welcome to their beach restaurant, and they’ll be able to order à la carte or on weekdays, take advantage of their competitive lunch set menu – menú del dia (sorry, in most restaurants the menú del dia isn’t an option for groups). If you are more of a contryside kind of people, then in the upper Barcelona you’ll find this old farmhouse specializing in Catalan food. Their group menus are a lovely combination of traditional starters and appetizers, followed by succulent meat and fish local recipes. You’ll love their old-style venue, and the lush gardens that surround it. The company owns one more masia restaurant in the area called Can Cortada, with slightly cheaper prices. Or if you prefer a meal with views, you can also book a group table at the spectacular Xalet de Montjuïc. Do you need a touch of luxury and sophistication instead? Fermí Puig is a prestigious local chef that worked with superstar Ferran Adrià and managed high end hotel restaurants before opening his own venue in the uptown Barcelona. Exquisite cuisine but not overpriced, they are happy to take groups (mostly corporated groups) that can appreciate their culinary creations. Taking into account that in Michelin star restaurants you are likely to end up paying over €100/person, their group menus starting from half of it sound like an amazing deal for fine cuisine fans. What about a restaurant that takes groups and is child-friendly? We got you covered! Semproniana is the restaurant of lady-chef Ada Parellada, famous for her will to include children in the food experience: colorful highchairs, a toy kitchen for the kids to play with, special dishes and cutlery for the children, a relaxed and welcoming setting… She even organizes cooking workshops for families and groups of friends! Her group menus offer creative cuisine with a Mediterranean touch, at decent prices. If you aren’t on a group, you can also order à la carte (each dish is served in S, M or X size, depending on how hungry you are!) or take advantage of her always surprising menu del dia. But wait! Did you know groups are welcome in the oldest restaurant in Barcelona? Open in 1786, when their metal teaspoons made them famous (they were an innovation compared to the usual ones!) 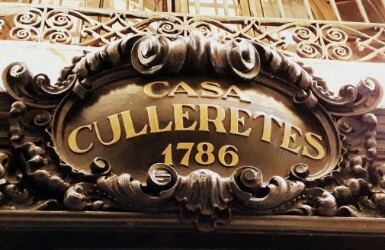 and the owner was often heard calling the waitresses “Girls, more teaspoons!” to satisfy their clientele, this restaurant is not just the oldest in Barcelona, but second in Spain after the famous Botín in Madrid. They have preserved their vintage decoration and atmosphere, and serve nice traditional Catalan food. 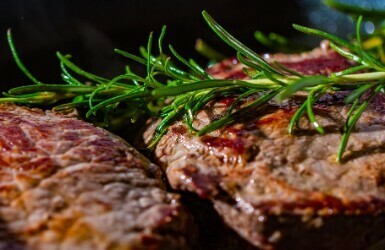 They have a variety of generous group menus for different budgets, including some tapas to share, one main course to choose from several fish or meat options, as well as dessert, drinks and coffee. So what about you? Head to the comments below and tells us: do you know of any other restaurants for groups in Barcelona that you want to share?